Should You Buy “Guild Of Dungeoneering”? With Final Fantasy XV being released I wanted to do a quick top picks for the series. I spent basically my entire childhood playing these games and they hold a very important part in my history as a gamer. So without further ado let’s talk about my top Final Fantasy Series games! I already know this is going to cause a lot of controversy but all I can say is this is strictly my opinion. I’m in no way saying it’s better than the choice of someone else! So Final Fantasy XIII was a huge step away from the traditional JRPG. 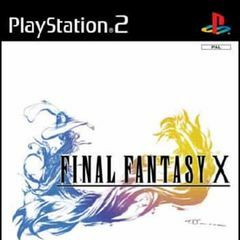 It was also the first real game in the series developed outside the wings of Hironobu Sakaguchi, and Nobou Uematsu the two who’s influence is deeply responsible for the global success of the franchise. This being said I think SquareEnix did a fantastic job. They took risks like implementing a more real time combat system similar to the Star Ocean series, but still kept with the Final Fantasy roots. It’s easy to let this game get swept under the rug simply because it couldn’t reach the level of brilliance seen in some of it’s predecessors, but when it comes down to it, they did a great job. 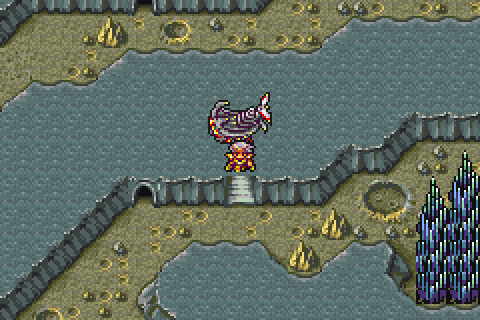 Known in the U.S on release as Final Fantasy II, this was a big step forward in so many ways. I don’t think there is a player out there who doesn’t remember Cecil’s transformation from a Dark Knight to a Paladin. It was a fantastic moment not only in the series, but in gaming period. Then we had the inclusion of a beautiful moonscape and a Lunar Mage. Something I was personally invested in quite a bit. But who wouldn’t be? That’s such an interesting idea, and one I think more companies would stand to learn a thing or two about. My final defining feature was the extremely rare weapons for your roster of characters! Something that later became a major staple of the series that would revolve around very exciting side quests. But in the beginning it was just very rare drop rates, from very rare monsters. So when you found any of these items it was a wonderful day to be alive. Without a doubt this is my childhood favorite in the series. It came at a time in graphic design where the only step they could make was do the side, not forward, and that led to some of the most charming graphical choices in the series to date. It’s quite possible that this risk is the choice that ultimately led to the game being remembered so fondly by the community, while it’s predecessor was shunned for it’s attempts at innovation. It was a great bounce back for the company, and one that I believe extended their lifetime for another few games. Turning the downward slope into extreme uphill momentum. It was here that the side quests and mini games really stole the show. Final Fantasy IX was expertly crafted to allow the player a ton of free roam options and rewarding each aspect in so many ways. The “Chocobo Hot And Cold” mini game, led to a nearly perfect side quest concluding in a battle with Ozma. One of my favorite boss fights of all time. Even if the battle was trivialized by the auto-regen ability. It’s very common to find this game at the top of lists for the best RPG’s of all time. As well as best villain, best soundtrack, and many other categories. 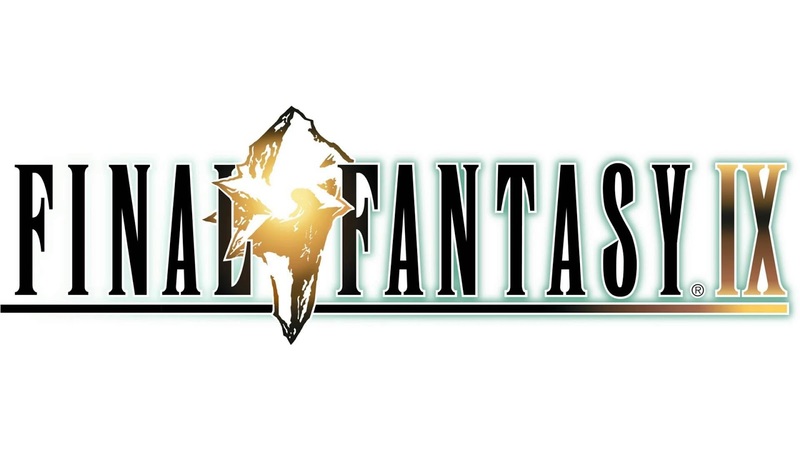 However for me it falls just short of hitting the number one spot as the number one Final Fantasy. That being said there are some extremely great things about it that put it neck and neck with my number one pick. For starters, the idea of having a mentally unfit impostor of a hero is a very refreshing take on the traditional story. Then throw in one of the most iconic megalomaniac villains and a sincerely surprising and heartfelt death of a character and you’ve got all the making of something far beyond the normal levels of good. Mechanically they were right on the ball as well. With the system of materia being nearly perfect in form and function. I’ve yet to find a skill system in an game that words as well as the materia does in Final Fantasy VII, period. Then we have the fantastic design of the games optional bosses, Ruby and Emerald Weapon. Who’s story line implications are just as wonderful as the boss fights themselves. This is where the real gaming achievements began. Most Final Fantasy Veterans have a a fond memory of taking down these two giants. 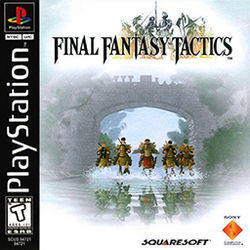 For a game that was so outside the traditional formula Final Fantasy Tactics succeeded as being a testament to greatness. By far the best tactics based game I have ever played at any time. The job system was experimental and fun. And the story line was done in such a wonderful way that it’s easily one of the best in the series. Where this game lost it’s stripes is the balancing of those story line quests. Unfortunately the enemies of the world leveled up around you but the story based monsters did not. This led to very underwhelming battles of extreme importance. And often killed the impact of some of the greatest moments in the series. My relationship with this game is a back and forth struggle. In some ways it was the most fun of the series overall. But in other ways it was a tedious mess of unnecessary puzzles, and poor voice acting. That being said, it was the first in the series to use voice acting which eventually had to be done. It’s also worth noting that the Japanese voice acting is probably much better than the English version. There were also a few key moments that made this game stand out for the better. The overall story was actually quite good. Ignoring of course, the overly dramatic and cliche nature of Tidus and his feelings towards his father. The real tragedy here comes from what happened after the game. And that’s it’s sequel. A terrible game I have a hard time even placing in the realm of Final Fantasy games. It was a clear market play to exploit it’s fan base and it backfired horribly. However even it’s existence taints the memory of the original. There is so much to talk about when it comes to this game. Everything from the displacement of typical “main character formulas” to the complex but intuitive magic system was a success. 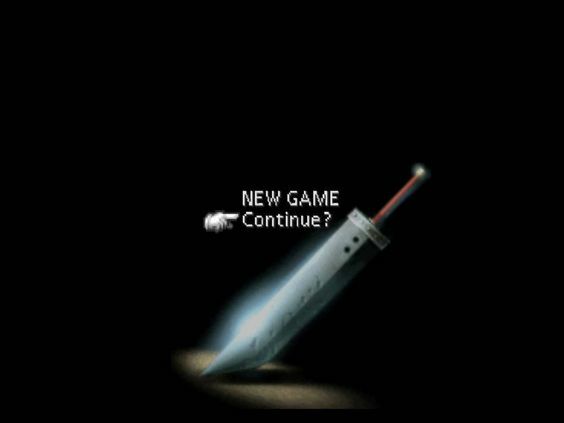 But perhaps the thing that pushes it far enough to edge out final fantasy VII is it’s complete shift in the game world. From the World of Balance, to the World Of Ruin. Most games tease at this moment and your goal is to prevent it. But in Final Fantasy VI you fail. The world gets torn apart. The party you built is spread across the now destroyed world and you are set on the path of finding the villain Kefka who is the only character to trump Sephiroth as being the biggest megalomaniac. Now once you enter the World of Ruin you have a huge open world to explore. Filled with hidden sides quests, spells, dungeons, and characters. Of course you can attempt to take on the final dungeon right away or at any point after receiving the air ship and that is what makes it the most exciting. You never really know if you’re ready you just have to jump in and try. There are virtually no parts of this game that strike me as being annoying or tedious. And the soundtrack is beyond words. The final boss track is basically a recounting of the games events in a full three movement orchestral piece. It’s phenomenal. But the best thing about it is the timeless graphics. When it was made it was quite the feat of pixel art, but even now games try to replicate that same feel to little success. 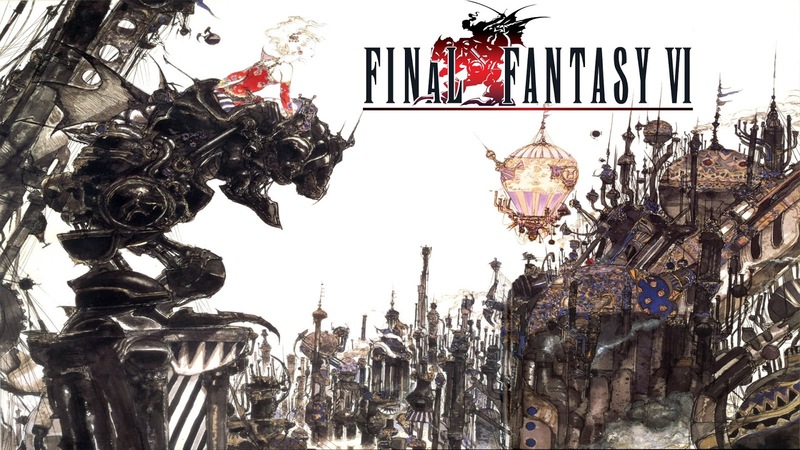 The remake of Final Fantasy VI attempted to remake the art to appeal to a newer audience but it misfired and removed a lot of what made the game great. This idea of the art being a perfect fit for any timeline is what makes it the best Final Fantasy in my opinion. While Final Fantasy VII suffers from a heavy dose of “aging poorly” and can’t recover from that flaw. The simple yet detailed aesthetic of VI makes it a game you can show to a new generation of gamers and still receive rave reviews. Thank you for reading! Let me know what your favorite Final Fantasy games are. What did you agree or disagree with? And I’ll see you next time! Thanks for the support! Feel free to link your own articles over here as well.